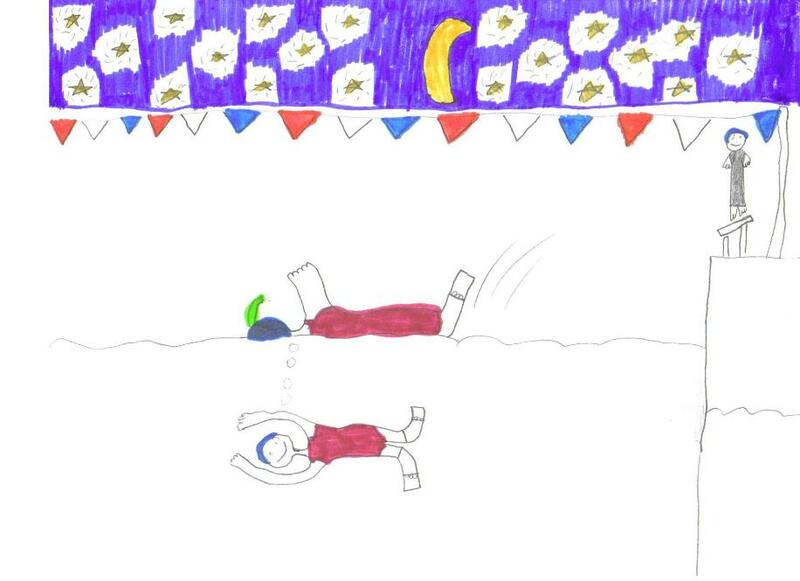 Note: I’ve invited a writer to give a fresh perspective on what kids learn from swimming. Everything I’ve read of his brings me smiles and tears. I’m pleased to introduce my first guest writer, Juan de la Quinta. When I was asked to share my thoughts on the theme of this post, I immediately felt that this topic is perfect for my casual writing style and the fact that I love to share stories about my 3 daughters. I’m going to leave them nameless, but they really do exist…trust me. Our eldest, now 24, deserves credit for bringing our family into the swimming world. She was 12 when she brought home a flyer from middle school announcing swim team tryouts at the local community college pool. Still relatively new to the neighborhood and without a sport since her Karate Sensei had moved away a few months earlier, my wife took her to the pool the next day and she passed the 25-yard swim test. We signed her up and the transformation began. 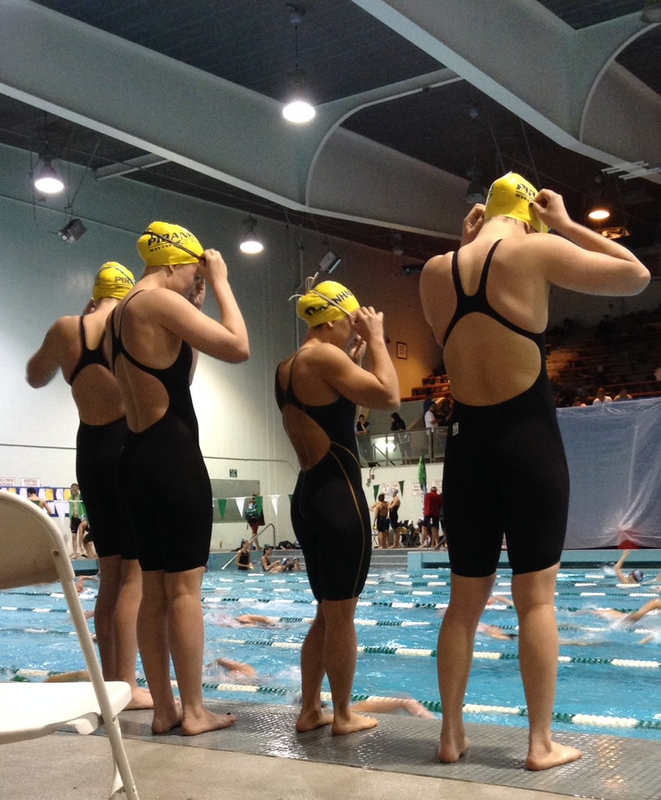 Although this daughter had the courage to stick with swimming all the way through high school, despite her lukewarm interest, what she remembers most about swimming is that it taught her about long-term commitments. She grew up a natural athlete who had the privilege of playing a variety of different seasonal sports that allowed her to maximize her enjoyment for 3-4 months at a time. She excelled at basketball, softball, karate, flag football, soccer, and was a natural swimmer with solid form in all 4 strokes. 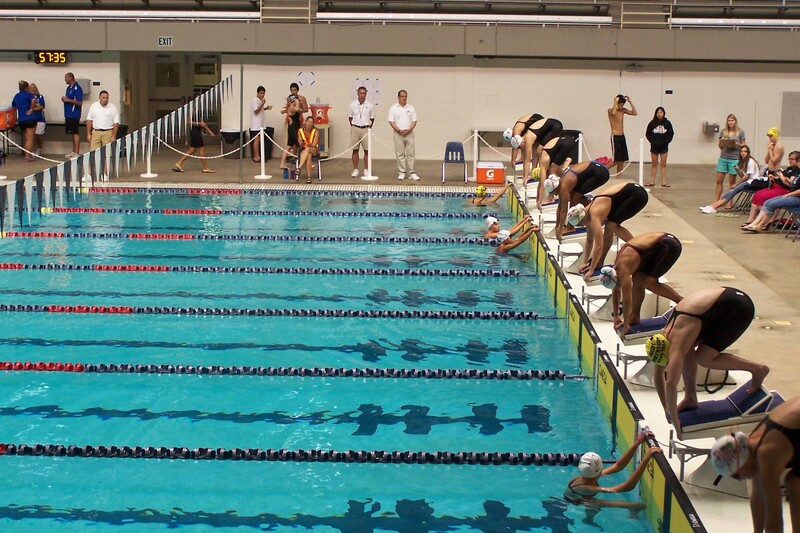 Before joining swimming, sports were second in priority to individual and family activities. Once she committed to swimming we expected her to juggle her schedule to keep swimming the first priority after schoolwork. What she learned from this experience, especially in high school, was that excessive homework (or the claim thereof) was the only reason we ever allowed her to miss swim practice. She has since adopted our philosophy of priorities and could not be a more reliable person when she makes a commitment. Biological Offspring #2, on the other hand, has benefitted from the lessons mom and dad learned with #1 and she has never tried to get out of swim practice for any reason because she knows from 10 years of swimming that we can’t be fooled twice. Seven years junior to #1, this child has set the standards of excellence for herself and her 12-year old sister in both academics and athletics. Formation of her character and personality can be directly attributed to the experiences she’s had with her swimming coaches and teammates. During her earliest years she adapted to the many transient coaches that we endured because of the challenge to find and keep swim parents capable of managing the intricacies of a good team. We bounced our way from one end of our valley to the other before landing with our current team. #2 never let these team and pool changes affect her attitude or behavior. She has consistently trained with older girls who’ve inadvertently taught her many lessons of life. #2 has always come home from practices and meets to parents who’ve encouraged, expected and at times demanded that #2 and #3 be open, honest and candid with us about their lives. In these talks around the dinner table or driving home from a meet, we’d hear about the shenanigans that other kids were pulling with their coaches, other swimmers, other friends and other kid’s parents. We’d analyze these incidents and use each of them as teaching opportunities. Being a supportive parent is much easier in the 3rd person than the first because emotions are less likely to influence our feedback and guidance. The key to this parental practice is to remain neutral as often as possible or the kids pick up on the one-sided opinions. If you are honest and admit when a situation is delicate, difficult and/or embarrassing, then your kids will realize that your opinions are fair and your guidance is not designed to just make a parent happy for the sake of happiness, but fair because it takes into the account the feelings and effects that will happen to all parties involved in a situation. In other words, try not to judge. It’s a good practice in general, but essential to good parenting. Now when it comes to #3, I have to admit that much of the influence she’s gotten from me was actually in her pre-swimming years, riding along as I drove #2 back and forth to practice and when we drove as a family to meets. I repeatedly shared my own passion for hard work and my competitive spirit through stories of my childhood and young adult life. These frequent infusions of positive values necessary in athletics and life were absorbed well by #3. As soon as our backyard pool was built, #3 was four years old and the perfect student for #2, who trained her little sister in the fine art of racing starts, turning at the wall and the fundamentals of all 4 strokes. This first summer of training was the advantage that #3 took with her onto the team when she started swimming a year later. 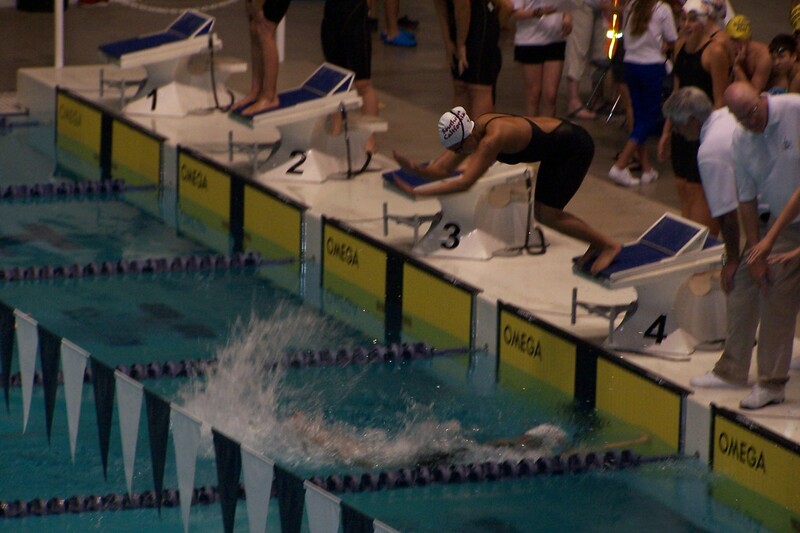 It took about one season for me to realize that #3 was actually swimming faster than #2 did at the same age… and we always thought #2 was fast. The greatest qualities of character that #3 learned from her teammate-sister was humility and kindness. #2 has always worked hard to reach the top levels of her age group, so when she started to win races and bring home medals, we repeatedly instilled the lesson that her hard work was the direct cause of her success, not other extrinsic factors. Recognizing the truth of this cause and effect relationship, #3 works as hard as anyone on her team to improve herself. The beauty of her humility and kindness comes not just from witnessing her sister’s humble success and good sportsmanship, but also from her own spiritual development. It’s easy to impart Christian values to a child who experiences so many incidents of recognition. As parents, we’ve repeatedly taught her that she’s been blessed with all the attributes of a champion. The lesson we teach repeatedly is that not only does she owe it to God to use her talents to the best of her ability as a way to say thank you, but to continue to open herself up to God’s will by raising up others around her. The value of knowing that the competition is not an enemy, but rather just another child of God swimming next to you is the key to her ability to befriend anyone willing to smile back at her. Don’t get me wrong, she doesn’t like to lose races but when that happens she has no problems congratulating the girls who beat her. It takes nothing away from who she is as a person and it does nothing but inspire her to work harder. I love being a swim dad, but this snapshot only highlights a few things our family has learned from over 10 years of participation. I could go on and on about the great families we’ve met over the years and the friends we’ve all made along the way or our joy of watching other swimmers on our team improve and mature. But most important of all, swimming has brought my family closer to each other as we’ve endured triumphs and disappointments with our kids. 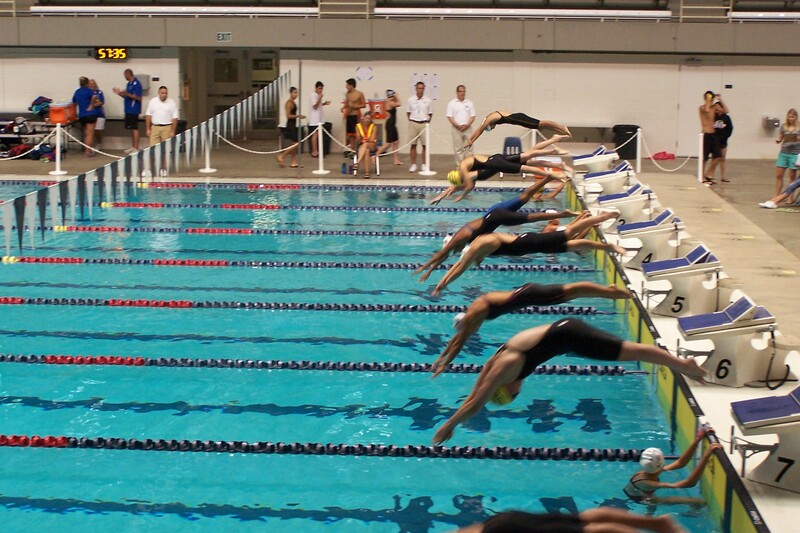 Our closeness and love is a direct result of being a committed swim family. 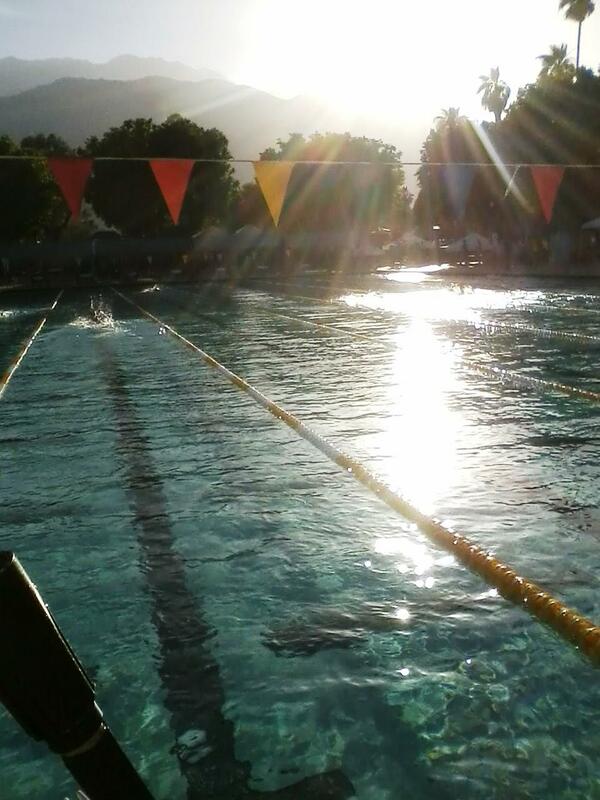 This entry was posted in College, college swimming, high school, how to get into college, Kids, Recruiting, Seniors, Sports Specialization, swim, Swimming, Uncategorized, Youth Sports and tagged lessons in the pool, parents, siblings, swim, swim families, swim team, swim teams, USA Swimming, youth sports by bleuwater. Bookmark the permalink.